Annandale Youth Lacrosse is proud of our dedicated volunteer coaching staff. We know that it’s a true balancing act to manage career and family while also coaching a youth team at the same time. Our goal is provide our coaches with the best resources and tools possible to help you achieve your coaching goals. Level 1 Online Courses (Fundamentals of Coaching Men’s Lacrosse, Fundamentals of Coaching Women’s Lacrosse) are FREE to US Lacrosse members and are ALL NEW for 2013! The US Lacrosse Coaching Education Program makes training easy and accessible for US Lacrosse members. "The will to win is meaningless without the will to prepare"
Online courses feature comprehensive text, streaming video, animation, graphics and access to a resource library full of drills and downloadable resources as long as you choose to be a US Lacrosse member. Level 2 online courses are only $30. Need help with a practice plan? US Lacrosse has samples by age groups U9-U15. Can’t remember how that drill works? Mobile Coach provides quick resources for coaches from your phone. Looking for some new drills? 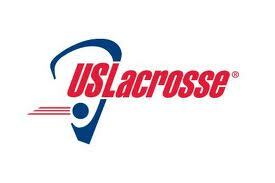 Check out the US Lacrosse Drills archive. Here is a terrific wall ball routine for all ages, should be done as quickly as possible. 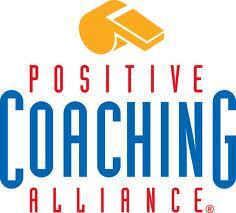 The Positive Coaching Alliance is a national non-profit developing “Better Athletes, Better People” by working to provide all youth and high school athletes a positive, character-building youth sports experience. The organization provides a host of tools for coaches, parents, players, and administrators. Their “Mistake Ritual”, “Double Goal Coach” and “Triple Impact Competitor” models dove-tail nicely with Annandale Youth Lacrosse’s mission and coaching guidelines. You can sign up for weekly coaching emails, newsletters and other tools on their website here. Bruce Brown is a motivational speaker with 35 years as a teacher, coach, athletic administrator at the junior high, high school, junior college and collegiate level. He’s coached football, basketball, baseball, and volleyball. He’s a national presenter for the NAIA’s Champions of Character Program and Director of Proactive Coaching. His book “What athletes would like to tell parents” is a must read for anyone with youth athletes and his popular videos are designed to help keep the emphasis for parents, athletes and families on constructive play. Kudda uses only experienced coaches, not big name players, to teach the fundamentals, drills and plays. Learn from the best HS and college coaches!